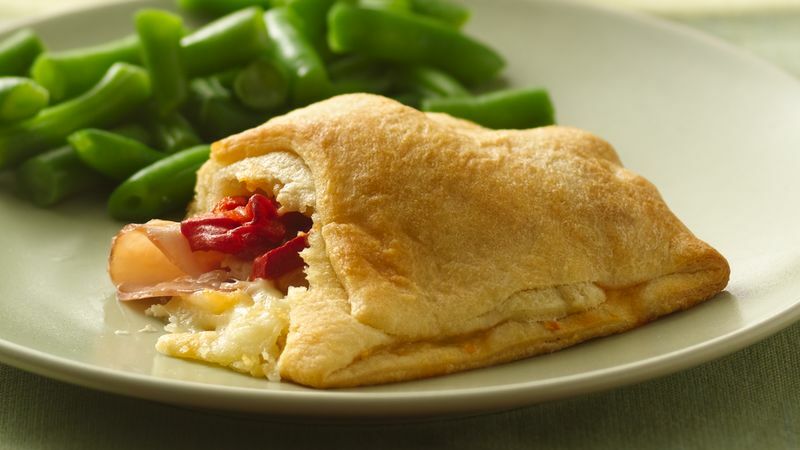 Layer ham, turkey, roasted peppers and cheese down center of each rectangle. Fold short and long sides of dough over filling; press edges to seal. Place seam side down on ungreased cookie sheet. Cut 2 small slits on top of each.